in a cloud of pollution that can last days. A bill was just introduced in the Utah House of Representatives that would mandate certain types of change out programs, set air quality levels that can be used to call no burn days and otherwise undermine the ability of the state to help move toward cleaner burning and cleaner air. The key to reducing wood smoke in Utah’s populated and often polluted valley surrounding Salt Lake City is a genuine partnership between the states air quality division, industry and other non-profits and stakeholders. Ultimately, solutions are going to require funding, especially if a change out program is involved, which can be expensive. For any significant amount of money to be used for change outs, the Utah governor and air quality division should support the change out, not have HB 396 thrust upon them, which will tie their hands. 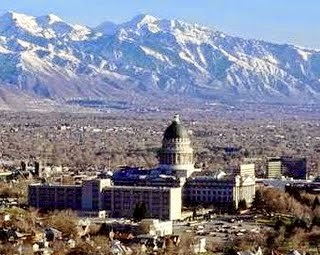 Utah Governor Herbert’s proposed seasonal ban was ill conceived and drawn up without sufficient consultation. HB 396 was similarly drawn up without sufficient consultation and will not lead to genuine solutions that can get solid funding. Like most others, the Alliance did not support the seasonal ban proposed by the Governor, but HB 396 is not the solution. HB 396 was drafted by key stove industry members and reflects the interests of some stove retailers and manufacturers, but does not embrace many solutions which can benefit homeowners who heat with wood and pellets. There are a variety of proven ways to reduce wood smoke while protecting the rights of families who heat with wood and pellets. HB 396 only refers to several strategies and it ties the hands of the Division of Air Quality, without even providing funding for solutions. 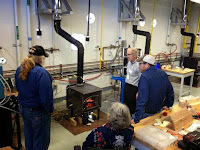 Wood stove change out programs are one of the effective strategies, but HB 396 does not include many options and best practices that other jurisdictions use in change outs to support high efficiency wood and pellet heating while reducing emissions at the same time. This hastily crafted bill needs to emphasize the interests of all Utahans, more than the just retailers and stove manufacturers who drafted the bill. Lines 28 and 29 which require consultation with representatives of the solid fuel burning industry while not mentioning representatives of other concerned groups is unfortunate. The solid fuel burning industry does not represent the consumers who use their products any more than any other industry group represents consumers of their products. For instance, one of the most important reasons people heat with wood and pellets is to save money, particularly lower income families. However, the solid fuel burning industry refuses to release the efficiencies of the stoves they sell. Some pellet stoves are between 40 – 50% efficient and some are between 70 – 80% efficient, but industry has long stonewalled consumer interests to know which stoves are more efficient than others. Industry has also actively opposed change out and incentive programs which require the disclosure of efficiency or only make the cleanest stoves eligible for replacing older, uncertified stoves. Such options and programs, however, benefit consumers and should be considered in any change out program. Ultimately the solution in Utah, like in any jurisdiction, requires the active engagement of all stakeholders and the consideration of all solutions – and funding. If industry, DAQ, and other stakeholders can agree on the parameters of a change out program, it will be far easier to secure funding each year and for that funding to have the most impact. HB 396 will not achieve that and pits the solid fuel industry against the interests of many other key stakeholders. For these reasons, we urge the Legislature to vote against HB 396. 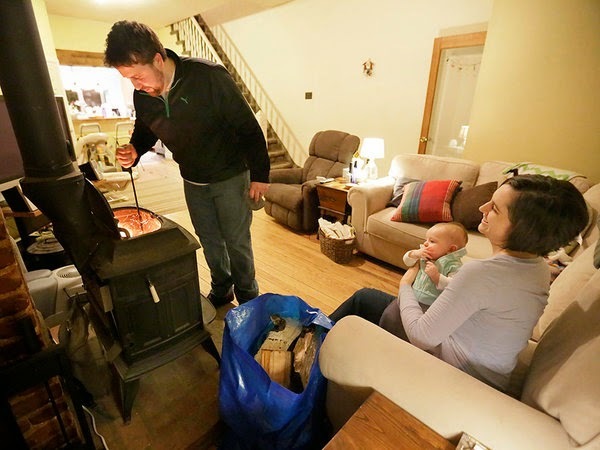 Over the last 4 years, the Alliance for Green Heat has also advocated on behalf of families who heat with wood and pellets with members of the Utah legislature, the Utah Division of Air Quality and the Utah Air Quality Board. 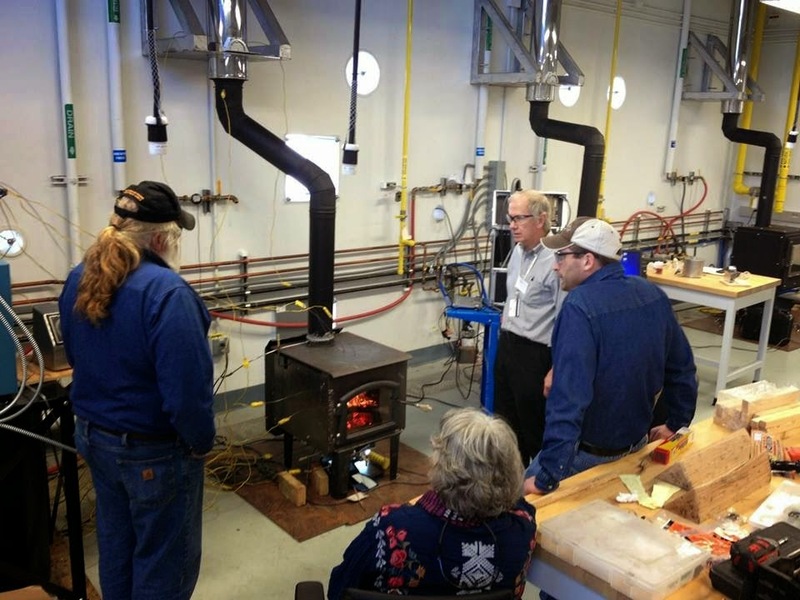 We provide expert background on wood heating technology, wood smoke emissions, and analysis. On February 24, we provided an informal briefing at the Utah Division of Air Quality (DAQ) on options for reducing wood smoke that other jurisdictions are pursuing, none of which include a ban on stove use. That powerpoint can be downloaded here. In the long lead-up to the EPA’s new rules on wood and pellet stoves and boilers, there have been many claims, predictions and fears. Here is a summary of the key points in the rule that will impact you, the consumer. The rule becomes law on Friday, May 15, 2015 but don’t expect to see many, if any, changes in your local hearth store until Jan. 1, 2016. Scroll to the bottom to see a timeline of implementation. This rule is an NSPS – a New Source Performance Standard – established by the EPA with input from industry, states and other stakeholders. Pellet stoves: Consumers will not notice much change here either. As of Jan. 1, 2016 all pellet stoves will have to be certified by the EPA. Some models are also likely to get more efficient. In 2020, pellet stoves also have to emit no more than 2 grams an hour. Most pellet stoves already meet the 2020 standard. Prices: There should be no short term price rises, but in the longer term some manufacturers say their stove prices may go up $ 300 – $ 400 in 2020. Others say their prices won’t rise at all. Retail “sell-through” period: Retailers have until Dec. 31, 2015 to sell existing stock. Many retailers don’t carry anything that can’t be sold under the new rules anyway. Beware of sales this summer and fall that are trying to unload inefficient stoves and boilers before its unlawful to sell them. Misleading advertising: Most manufacturers have posted unverified and exaggerated efficiency claims on their brochures and websites. The new rules specify how stove efficiency is to be tested and reported, and companies may start posting verified efficiencies by May 15, 2015. It is unknown if the EPA will crack down on the rampant exaggerated and misleading efficiency claims. Blaze King and Seraph are only companies that provide verified, accurate efficiency numbers of all their stoves to consumers and the EPA. Beware of any stove that advertises over 83% efficiency. Efficiency: There is no minimum efficiency standard, but the new rule requires efficiency testing and reporting. To date, most companies have treated verified efficiency as confidential records. Some companies are beginning to voluntarily disclose a few efficiency numbers. Carbon monoxide (CO): The new rules do not limit the amount of CO that can be emitted but require that it be tested and reported. As with efficiency, it is still unclear if CO levels from existing stoves will be available before 2020. Stoves tested with cordwood: The rules set up an alternative, voluntary compliance option for Step 2 emission levels of 2.5 grams an hour for stoves tested with cord wood. This recognizes leaders in the industry who are optimizing their stoves for using cord wood and encourages other manufacturers to follow their example. Pellet fuel: All new pellet stoves must be tested and warrantied to use with pellets that are certified by a third party entity – either the Pellet Fuels Institute (PFI), ENplus or CANplus. Consumers will see more and more pellets certified by one of those entities, which means they meet certain quality and consistency standards. 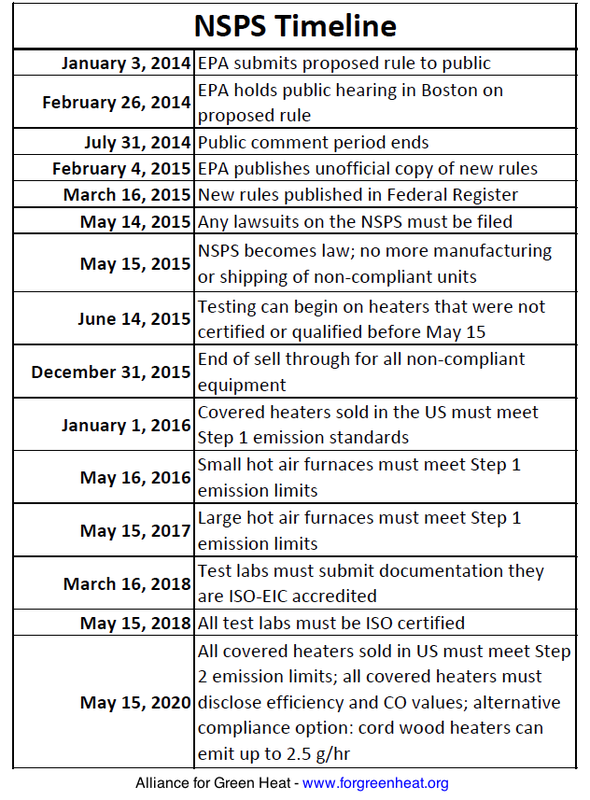 Masonry Heaters: The EPA did not set emission standards for masonry heaters in this rule, but asked the Masonry Heater Association to further develop a testing standard so that they could be included in the next NSPS, which should be in 2023. Fireplaces: The new rules do not apply to fireplaces, but there is a voluntary method for cleaner fireplaces to be tested and qualified by the EPA. This rule does not even refer to the voluntary program, which may mean there is little interest in including fireplaces in the next NSPS. Owners manuals: Owners manuals will be updated as of May 15, 2015. Updated manuals will have more detail and must instruct operators how to get optimal performance from the stove or boiler. Litigation: The deadline to file suit over this rule was May 15, 2015. The main stove and boiler industry association, the HPBA, has indicated it will be filing suit, probably over the 2020 emission standards. Air quality groups are joining that suit to defend it from being weakened or delayed. PFI is suing over the authority of the EPA to regulate pellet fuel. Tulikivi is suing because they want masonry heaters to be a regulated technology. Several other companies are also challenging the EPA in court. Role of states: Several states have passed resolutions barring state agencies from enforcing this NSPS but the rule clearly states that it does “not impose any requirements on state and local governments.” To date, Missouri, Michigan and Virginia have passed laws barring state enforcement, largely a symbolic gesture. A number of other states will be helping to implement and enforce the NSPS to achieve cleaner air in their states and protect consumers. Boilers: Like stoves, boilers must meet Step 1 emission limits by May 15. Retailers can still sell older, uncertified and unqualified boilers through Dec. 31, 2015. In 2020, they must meet stricter emission limits. Due to a schism between domestic boiler manufacturers and those importing more advanced European technology, most test labs are not willing to test use one of EPA approved boiler test methods. There in still uncertainty about how one boiler test method, EN3030-5, is treated under the new rule. Warm air furnaces: Furnaces that heat air, instead of water, got a reprieve from the EPA after intensive advocacy by industry and pressure from Congress. Small ones have to meet Step 1 emission standards by May 15, 2016 and large ones not until May 15, 2017. Loophole for unregulated outdoor boilers: Manufacturers of unregulated outdoor wood boilers can continue to make and sell these units for “commercial” applications. However, one outdoor boiler company has already indicated that as long as the customer assures the dealer that the unit will be used for commercial purposes, its up to the consumer to use it as they please. Boiler and furnace prices: Unlike stoves, options for consumers will change more, since the boiler furnace industry had not been regulated and many low-cost, low-efficiency units were on the market. Prices – and efficiencies- are likely to rise significantly but operating costs will be significantly lower. Comments? If you think we have omitted important information in the NSPS for consumers, please let us know at info@forgreenheat.org. This pellet stove challenge marks the third Stove Design Challenge, and the second to take place at Brookhaven. 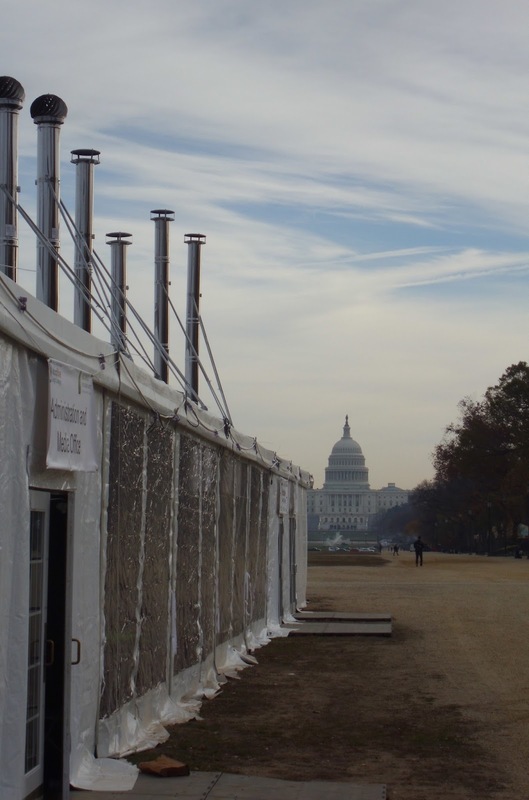 Previous challenges, including the inaugural Wood Stove Design Challengeon the National Mall in 2013, focused on promoting technological innovations that would help ensure wood stoves burn cleaner in the hands of consumers. All the Stove Design Challenges involve stakeholder engagement in testing and assessing stoves, the opportunity to see and understand how testing works, and workshops and roundtables that bring together industry, regulators, air quality groups, non-profits and the media. To get better baseline data on some popular stoves, the Alliance for Green Heat submitted a Freedom of Information Act (FOIA) request to the EPA asking for emission and efficiency data for each of the four tested burn rates. The Alliance also asked for moisture and ash content of the pellets used in the certification tests. By May 15, at least 3 other parties had filed suit, including the Pellet Fuels Institute (PFI), Tulikivi and several fuel producers. PFI is challenging the EPA’s authority, under the Clean Air Act, to regulate fuel. Tulikivi, the primary factory-made masonry heater company, is suing because they are not being regulated and want to be. Unlike these groups with relatively narrow grounds for suing, HPBA will be raising many issues pertaining the Step 2 emission standards that take effect in 2020. The other two air quality groups who joined the suit along with ALA are the Clean Air Council (CAC) and Environmentand Human Health, Inc.(EHH). CAC is based in Philadelphia and focuses on a wide array of energy and environmental issues. EHH is a small group based in Connecticut and has worked on outdoor wood boiler pollution for many years. All three groups, the ALA, CAC and EHH, were active in the comment process on the rule. Earthjustice, a public interest law firm that does not charge its clients, is representing the groups. The Environmental Defense Fund, which had teamed up with these three groups on earlier litigation, did not join this intervention. The US government is poised to begin a monthly survey of pellet producers, much like it conducts similar surveys for coal, oil, gas, and other renewable technologies like solar panels. The Alliance for Green Heat has been part of a coalition urging the government to include thermal biomass in reports, policies and data collection initiatives. Some pellet manufacturers may say, “be careful what you wish for, lest it may come true.” Efforts by the Pellet Fuels Institute and others to gather information about how many pellets are being produced each year have been met with resistance by many manufacturers. In contrast, response rates to surveys by the Energy Information Agency (EIA) are often 100% according to EIA staff because response to the EIA energy surveys is mandatory pursuant to Section 13(b) of the Federal Energy Administration Act of 1974. Failure to respond to EIA surveys is punishable by significant fines. The EIA-63C “Densified Biomass Fuel Report” will require any company that produces more than 10,000 tons (the EIA expects there to be about 150) to fill out the survey monthly, which the EIA estimates will take one hour to complete. The EIA aggregates the survey responses and does not release any company specific data, a strict rule that follows with all energy surveys. The EIA is an independent information agency within the Department of Energy. Its long hallways are filled with wonky number crunchers who produce some of the most important data that industry and government rely on to understand energy markets. Thermal biomass being selected at long last to join the club of major energy producers shows recognition of its contributions to heat homes and institutions across America is growing. The EIA wants to know how much PFI certified and non-certified pellets manufacturers are making for both the bulk and bagged market. For the PFI certified pellets, the EIA wants to know whether they are premium grade, standard or utility grade. The survey also asks if pellets are being sold domestically or to foreign markets and even why plants may not be operating at full capacity. The survey asks if extrusion machinery was not fully utilized, was it a shortage of raw materials, drying capacity, grinding capacity, or lack of a market for them? 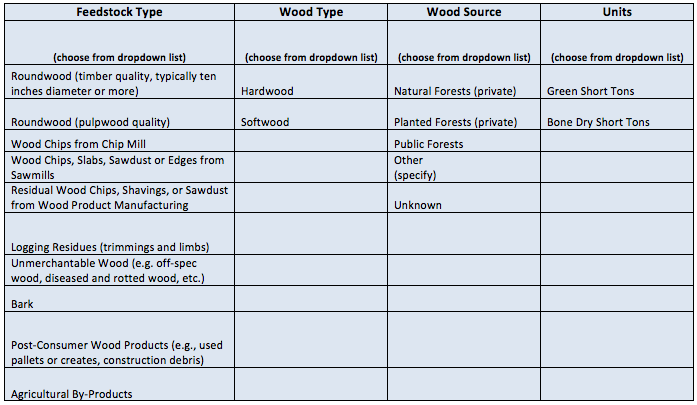 In addition to pellets, the survey includes other densified biomass such as wood bricks, wood logs and briquettes. The results will likely show a rapidly expanding wood brick/log sector, which has the potential to produce far cleaner fuels than cordwood in residential wood stoves. However, there is no quality certification process for these types of densified biomass in place yet, as there is for pellets. As this market matures and supply begins to meet demand in upcoming years, there is likely to be more focus on the ingredients used in the fuel, just as there is now with pellets. “This survey is a sign that the US government is taking thermal biomass more seriously,” said John Ackerly, President of the Alliance for Green Heat. 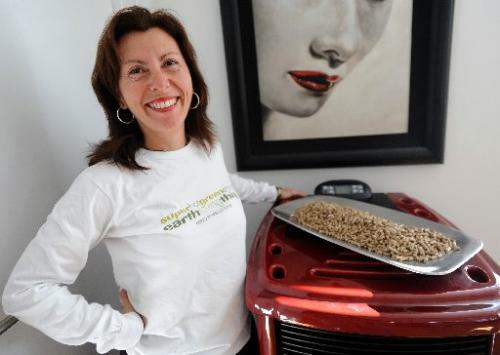 “Pellets can provide a clean and efficient alternative to fossil fuels to heat our homes and buildings. We applaud the EIA for agreeing to undertake this survey so that all stakeholders can have a level of detail and transparency,” Ackerly added. The survey has already been through one public comment period, where major stakeholders, including the Alliance for Green Heat, provided feedback and suggestions to the EIA. It is now being sent out for a second 30-day public comment period. The US authorities is poised to get started a regular monthly survey of pellet producers, considerably like it conducts similar surveys for coal, oil, gas, and other renewable technologies like photo voltaic panels.&nbsp The Alliance for Eco-friendly Warmth has been part of a coalition urging the government to incorporate thermal biomass in reviews, insurance policies and data selection initiatives. In contrast, response costs to surveys by the Power Information Agency (EIA) are typically one hundred% according to EIA employees since response to the EIA energy surveys is mandatory pursuant to Segment 13(b) of the Federal Vitality Administration Act of 1974.&nbsp Failure to answer to EIA surveys is punishable by considerable fines. The EIA-63C “Densified Biomass Gasoline Report” will demand any firm that generates much more than ten,000 tons (the EIA expects there to be about a hundred and fifty) to fill out the survey monthly, which the EIA estimates will just take one hour to complete. &nbspThe EIA aggregates the survey responses and does not release any business certain data, a strict rule that follows with all strength surveys. The EIA is an unbiased info agency within the Section of Vitality.&nbsp Its extended hallways are crammed with wonky number crunchers who generate some of the most important information that sector and government count on to understand power marketplaces.&nbsp Thermal biomass currently being picked at prolonged previous to join the club of key power producers displays recognition of its contributions to warmth residences and institutions throughout America is increasing. The EIA wants to know how considerably PFI accredited and non-accredited pellets producers are making for the two the bulk and bagged marketplace.&nbsp For the PFI licensed pellets, the EIA wants to know regardless of whether they are premium grade, standard or utility quality. The study also asks if pellets are becoming marketed domestically or to international markets and even why crops could not be running at entire capability.&nbsp The survey asks if extrusion equipment was not totally used, was it a scarcity of uncooked resources, drying capability, grinding capability, or lack of a industry for them? 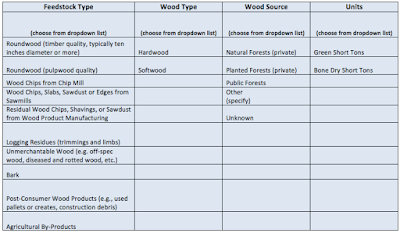 In addition to pellets, the survey contains other densified biomass such as wooden bricks, wooden logs and briquettes.&nbsp The benefits will probably display a rapidly growing wood brick/log sector, which has the prospective to create considerably cleaner fuels than cordwood in household wood stoves.&nbsp However, there is no top quality certification procedure for these kinds of densified biomass in area yet, as there is for pellets.&nbsp As this market place matures and offer begins to meet up with demand in forthcoming years, there is very likely to be a lot more focus on the elements utilised in the fuel, just as there is now with pellets. “This survey is a sign that the US government is taking thermal biomass a lot more critically,” explained John Ackerly, President of the Alliance for Eco-friendly Warmth.&nbsp “Pellets can give a cleanse and successful option to fossil fuels to heat our homes and properties.&nbsp We applaud the EIA for agreeing to undertake this survey so that all stakeholders can have a level of element and transparency,” Ackerly added. The US Courtroom of Appeals has consolidated at the very least 3 of the lawsuits in opposition to the EPA’s wooden heater rules collectively into a single lawsuit.&nbsp The Courtroom requested these a few parties, the Fireplace, Patio &amp Barbecue Association (HPBA), the Pellet Fuels Institute and Tulikivi, to file their “statement of issues” with the courtroom. * The 2020 particulate make a difference emission requirements for wooden heaters, residential hydronic heaters and household pressured-air furnaces are arbitrary, capricious, an abuse of discretion, or or else not in accordance with regulation. * The “failure to incorporate changes for check method precision” is in the compliance audit tests is arbitrary, capricious, an abuse of discretion, or otherwise not in accordance with legislation. * The ability of the EPA to use test techniques and other provisions that are not produced by means of a consensus normal-producing procedure. The NSPS suggests that boilers licensed by New York Stateor certified underneath the New York’s Renewable Warmth New York (RHNY) system are to be instantly deemed EPA certified to fulfill the Action one emission boundaries.&nbsp If HPBA is productive in its challenge, it is unclear if all of individuals units could drop their certification, giving HPBA member organizations a large edge over companies who participated in the New York software, which are largely non-HPBA users. Tom Morrissey, the proprietor of Woodstock Soapstone Stoves, a non-HPBA member, says Curkeet’s study is riddled with flaws and should not be relied upon by policymakers or regulators. The U.S. Court docket of Appeals will very likely to soon be finding out equally sides of this argument.&nbsp Several air top quality non-earnings groups have also intervened to help the EPA defend the rule and will probably be arguing that that Action two emission requirements are sensible and achievable, and if everything, are way too lax.